“Ryanair, Europe’s favourite low fares airline, today (14 Jan) announced that as part of a $280m investment in Greece it would open its 2nd and 3rd Greek bases (64 in total) at Athens and Thessaloniki in April 2014 with a total of 3 based aircraft and 9 new routes. Ryanair celebrated its 2 new Greek bases by releasing 100,000 seats on sale at prices from just €16.99 for travel in February and March, which are available for booking until midnight Thursday (16 Jan). Ryanair’s 6 new Athens routes and 3 new Thessaloniki routes will begin in April and will go on sale on www.ryanair.com tomorrow. “Ryanair is delighted to announce Athens and Thessaloniki as our second and third bases in Greece in addition to Chania. These 6 new Athens routes with multiple daily frequencies to Chania, London, Milan, Paphos, Rhodes and Thessaloniki, are ideal for business passengers or families booking getaways from summer 2014. These customers can also enjoy Ryanair’s recent customer service enhancements. Our 6 new Athens routes will allow Greek consumers and visitors to escape Aegean/Olympic’s high fares and instead enjoy Ryanair’s lowest fares and industry leading customer service and punctuality. 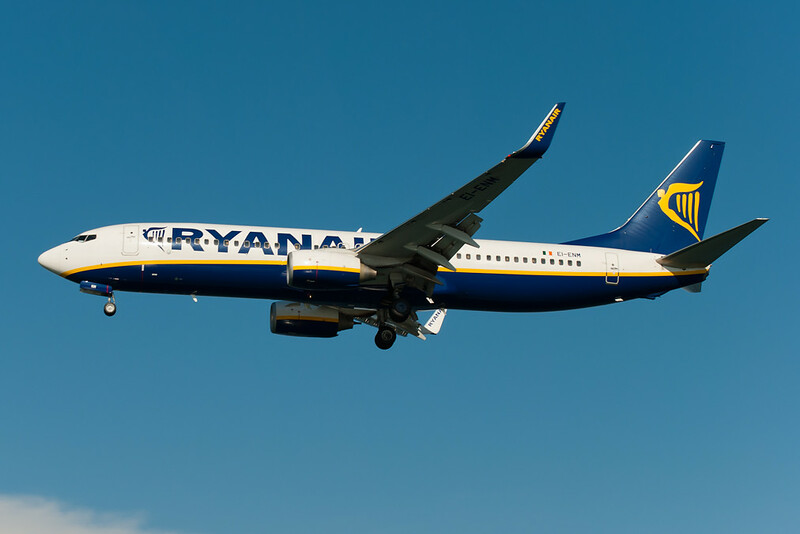 Only Ryanair, with its 175 new aircraft order, can deliver the capacity, new markets and low costs demanded by Greek consumers and visitors, and looks forward to working with Athens Airport to unlock the vast potential currently suppressed by high access air costs. Our 3 new Thessaloniki routes to Athens, Pisa and Warsaw begin in April and go on sale tomorrow as part of our summer 2014 schedule, with 16 European destinations, including Brussels, London and Milan, amongst others. Ryanair’s 1.6m passengers p.a. will sustain up to 1,600 “on site” jobs in Thessaloniki, in a welcome boost to the economy.